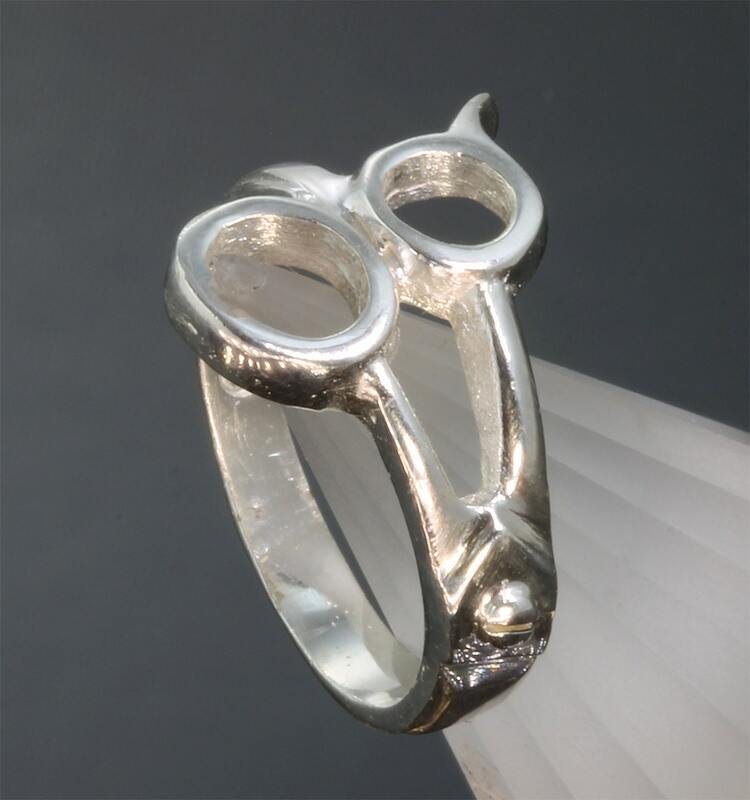 Sterling Silver 'Scissor Ring©' handcrafted from our original design. 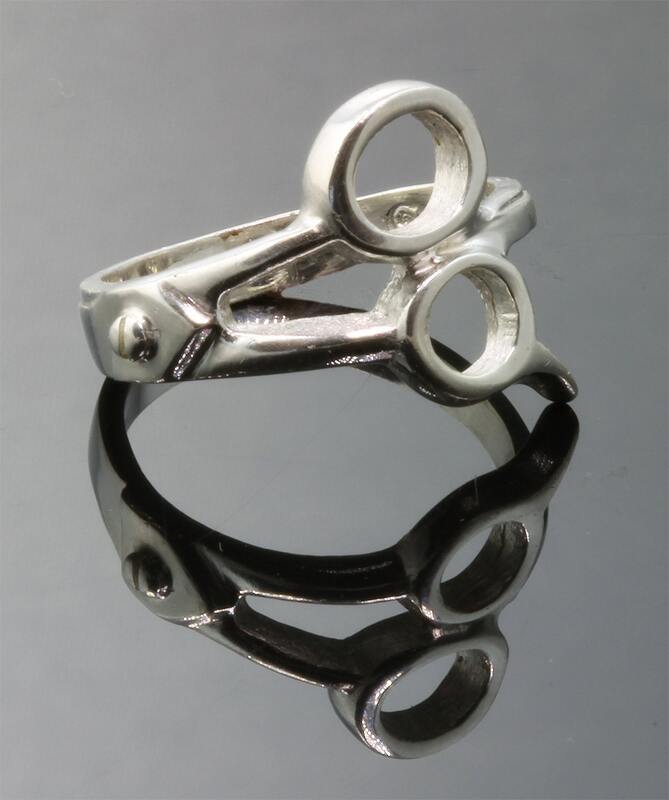 Made in the U.S.A.! 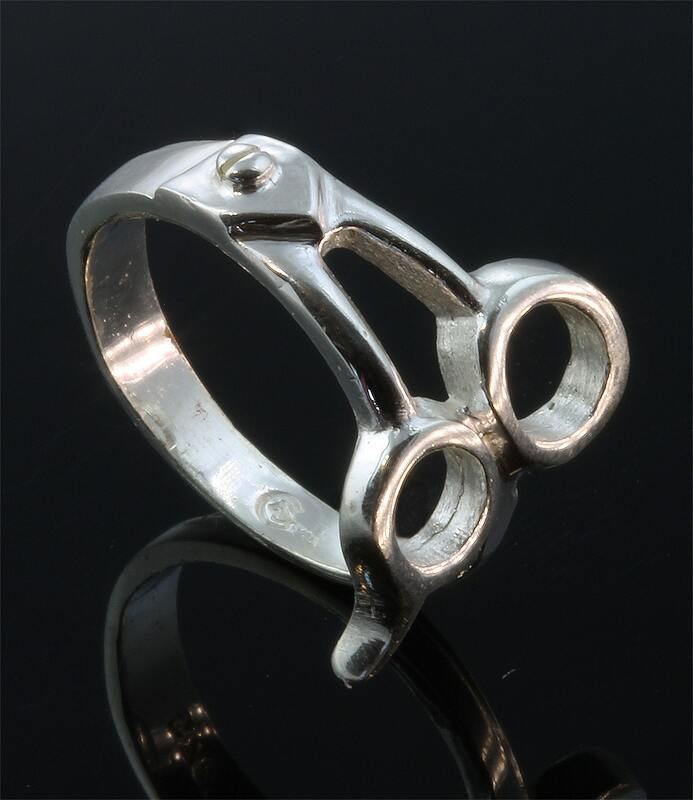 The original ring was made by John for his father, who was a barber. 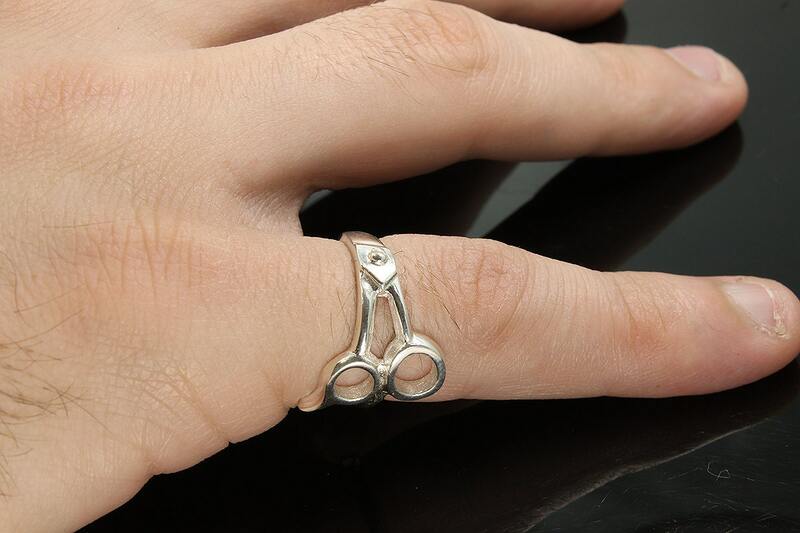 It was designed as a pinkie ring. 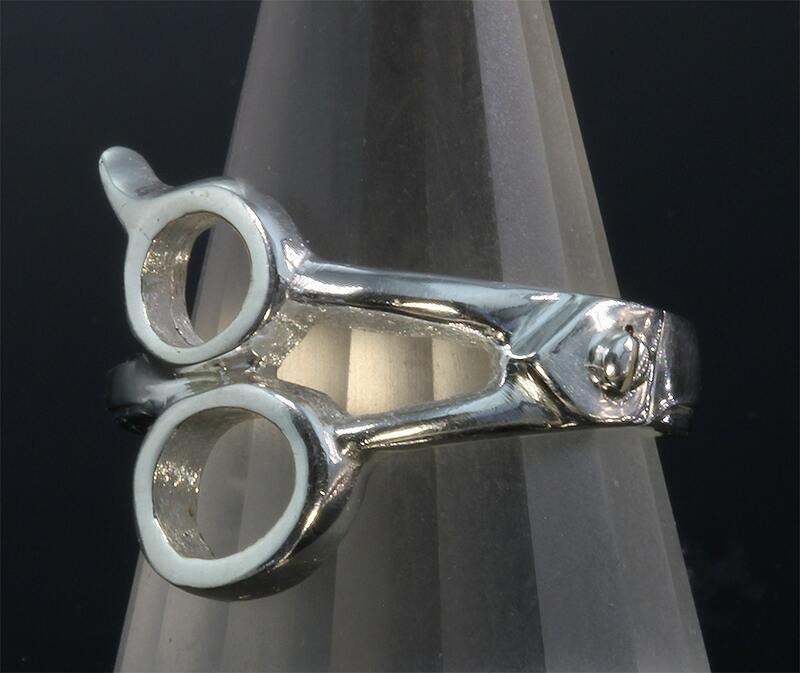 The original is 14K gold with a diamond because every Italian barber must own a gold and diamond pinkie ring! Its a law!